I live blogged at VMworld about VMware giving a free upgrade (technically a $1 upgrade, but what’s a buck amongst friends) to the newly announced VMware vCloud Stuite Standard Edition for all current customers with VMware vSphere Enterprise Plus under active Support and Subscription (SnS). This gives customers the basic building blocks for starting to shift their virtualized datacenters towards a software-defined datacenter with all the cloud automation needed to drive the next stage of datacenter efficiency, mobility, and consumption-based provisioning. VMware vCloud Suite is a comprehensive set of VMware products bundled together to help customers begin building private clouds based on VMware’s vision for the software-defined datacenter. Customers who were licensed for VMware vSphere 5 Enterprise Plus as of August 27th, 2012 are entitled to a free upgrade to the new vCloud Suite Standard Edition. This free upgrade provides customers with the basic building blocks to begin reshaping their datacenters into modern, elastic, automated clouds. 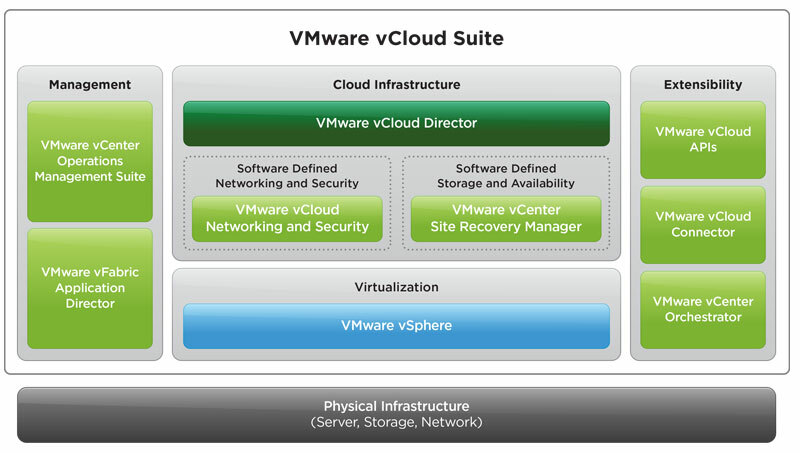 vCloud Suite Standard includes all vSphere Enterprise Plus functionality plus VMware vCloud Director 5.1, vCloud Connector and Standard vCloud Networking and Security. There are a few gotchas on the free upgrade to the vCloud Suite – the deal doesn’t last forever. 1.) You must claim your upgrade by December 15th 2012, or forfeit it. You need to exercise your upgrade in the VMware Web Store or with a VMware Partner. Clearpath can help you navigate this upgrade process at no cost to you. Visit our VMware Support Renewal site here to request assistance: http://info.clearpathsg.com/vmware-support-renewals/. 2.) If you already own components of the vCloud Suite editions, including vSphere, SRM, vCenter Operations (vCOps), vCloud Director, vShield Edge, vShield App with Data Security, vCenter Chargeback Manager, vCenter Configuration Manager, vCenter Infrastructure Navigator, or vFabric Application Director, you can leverage VMware’s Fair Value Conversion Program to trade in your existing licenses at current list price for up to a 100% credit towards a vCloud Suite edition that includes your components. 3.) If your vSphere Enterprise Plus Support and Subscription (SnS) has lapsed, you may qualify for a SnS reinstatement with no reinstatement or back fees due. Use this to re-active your vSphere Enterprise Plus licensing and then claim your vCloud Suite upgrade. 4.) There are some aggressive discounts available for customers who now are entitled to vCloud Suite Standard to be able to upgrade to higher editions of the vCloud Suite – Advanced or Enterprise. 5.) There are some great discounts (for a limited time) for customers on vSphere Enterprise Edition who what to upgrade to the new vCloud Suites. It’s not a free upgrade, but it is substantially discounted. Again, there’s a bunch of licensing hurdles to clear here. Reach out to us for help in navigating the terms and conditions to get you upgraded before the promotions expire. Once your licensing is upgraded, you’ll need to get a plan in place to upgrade to vSphere 5.1 and then begin layering in vCloud Director, vCloud Network & Security, and any other products you are entitled to. The introduction of these new products needs to be carefully thought through, with good architecture and design considerations applied. VMware’s vision for the software defined datacenter is set to dramatically shift IT’s approach to providing and consuming IT resources. Take some time to review your needs against the awesome new possibilities and figure out how you can best use these technologies to transform your environment. There are several moving parts as you introduce vCloud, and simply pushing those parts down on top of an existing vSphere infrastructure may not work. Our team is happy to help you navigate through upgrade paths, compatibility matrixes, and operational considerations as you adopt the next generation of VMware technology. Feel free to reach out on our website or via social media (@clearpathsg) for help.